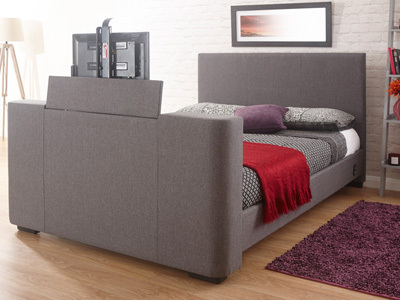 Watch the latest Hollywood blockbuster in comfort With a brand new TV Bed! 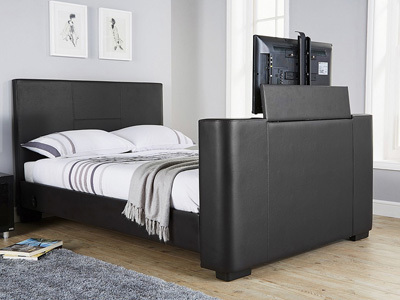 With the press of a button watch as the TV effortlessly lifts out of the bed and switches itself on ready for the latest box set installment. 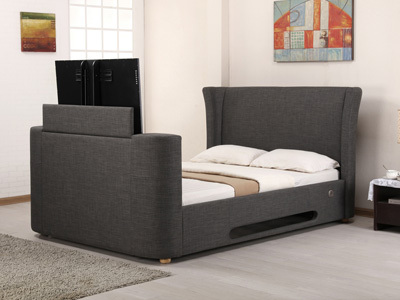 Our range of TV beds are available in some really eye catching frame designs and a host of extras including a fully operational media centre. 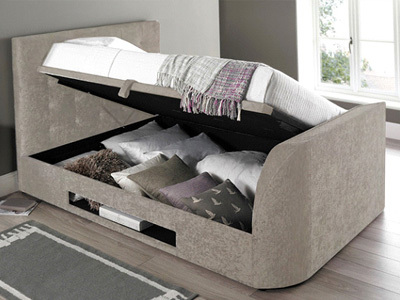 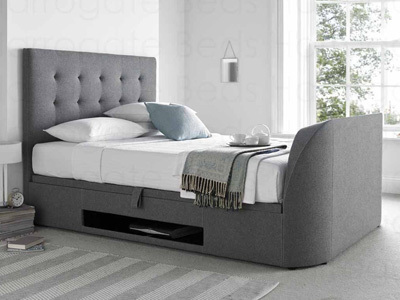 Whether it’s viewing the latest Hollywood blockbuster or just catching up with the soaps on a lazy Sunday, a TV bed is the ideal solution to watch all your favourite programs in absolute comfort. 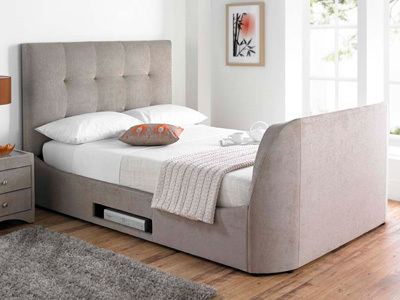 Partnered with a luxury new mattress, the weekends will never have felt so good! 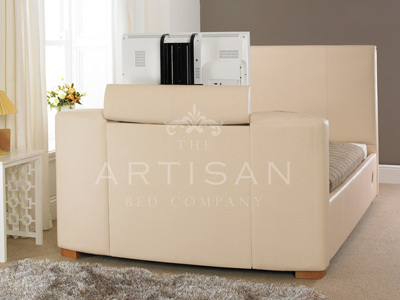 Electrically operated via a remote control or a push button at arms-reach, the TV smoothly travels out of the foot end of the bed and in some models automatically turns the telly on, leaving you free to make sure those pillows are properly plumped! 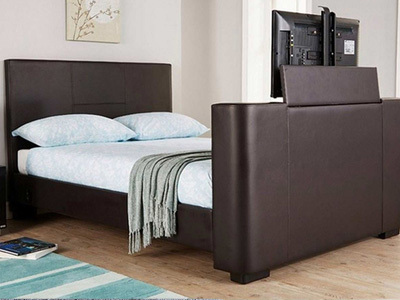 A TV bed allows you to keep all those unsightly wires hidden away as special compartments give you enough room to create your own media headquarters! 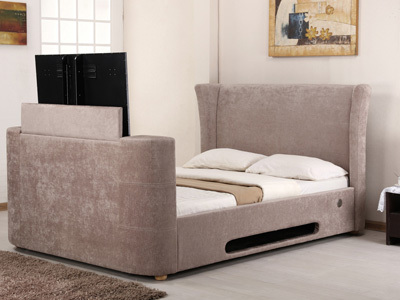 Perfect for teenagers and gadget lovers who can flip between gaming on the Xbox to watching sky movies in an instant. 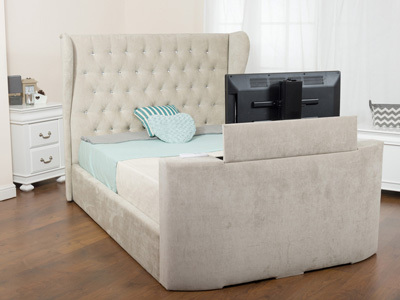 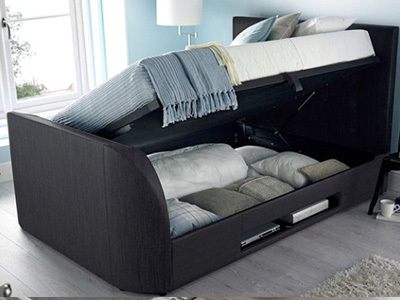 Install A 42” LED TV Into Your New Bed Frame! 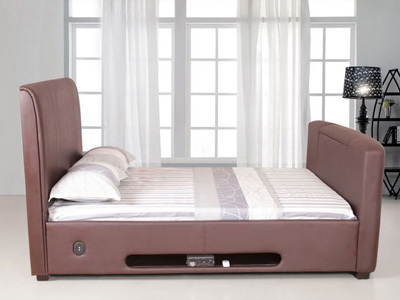 All of the models come with a universal bracket allowing your own flat screen television to be easily installed. 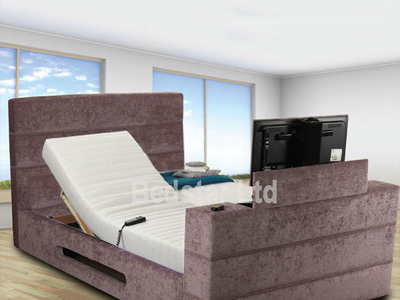 Some models, including the Kaydian Maximus, can accommodate up to a 42" LED TV and have a 3 directional sound bar, hub adapter with USB and Auxiliary port built-in. 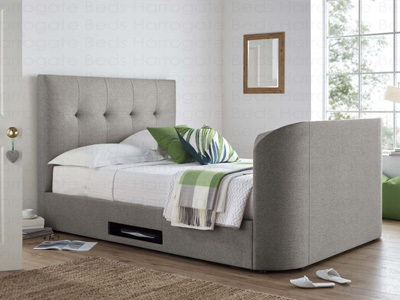 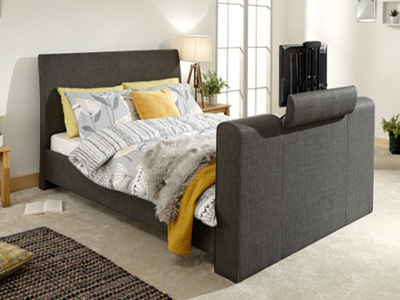 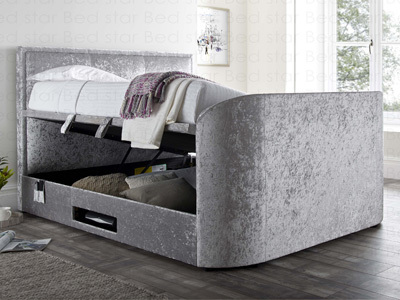 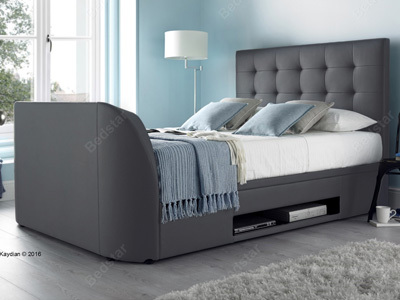 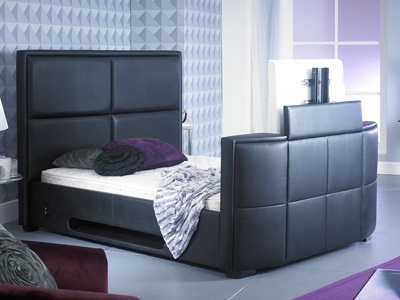 With stylish designs and a range of contemporary fabric and soft leather colours you can select a model that perfectly matches your bedroom look so the only issue you'll have to deal with is trying to find a reason to get out of bed in the first place! 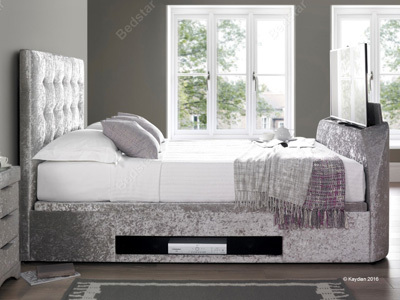 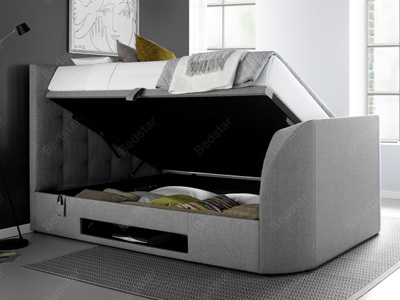 Make sure that you keep checking back at Bedstar – Home Of Beds, for our exclusive sale prices, as what is priced as normal today may hit cheap discount promotional prices tomorrow!